The 4 year old Percheron gelding ThunderHill Knight Ryder just sold at the Mid-America Draft Horse Sale (Gordyville) for $87,000! He was raised and trained on Eberglo, and successfully competed with Daniel Filmore in the Eberglo Draft Horse Challenge, Atlantic Region, to win the Reserve Ultimate Supreme Draft Horse. 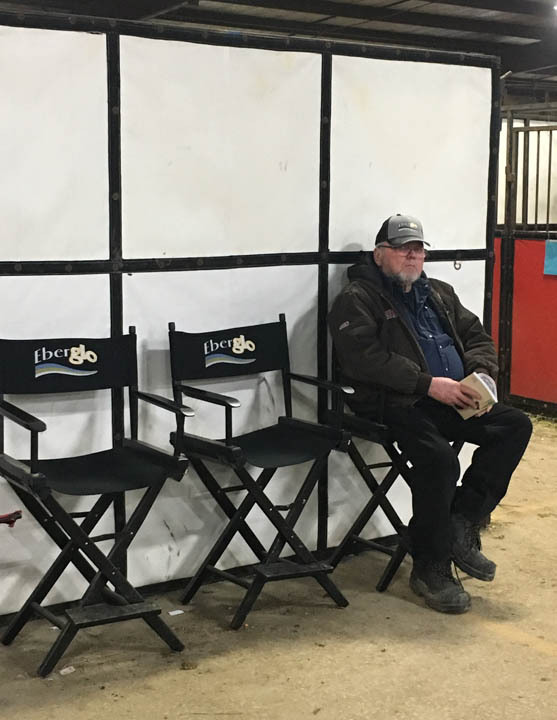 Congratulations to ThunderHill Percherons, Jeff & Mona Fiske, Nova Scotia, who are the breeders of this fine gelding, and Reg Wynes, New Brunswick, who owned and consigned him to the Gordyville sale. He was purchased by Young Living Percherons.